All of the internal walls and ceilings have now been painted and the electrical and mechanical second fix is almost complete. 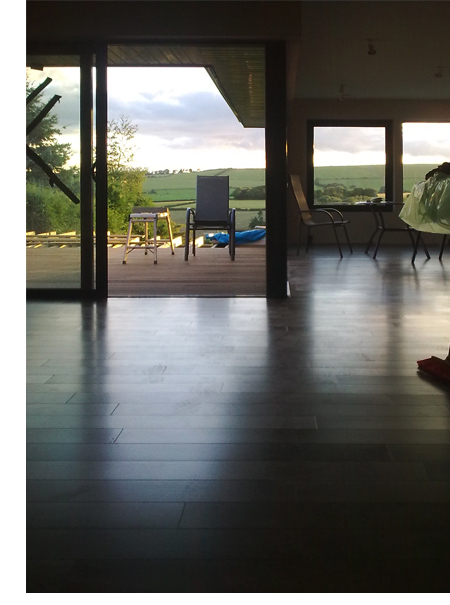 This timber flooring has been laid internally and the hardwood ‘balau’ decking boards are also currently being fitted. The seamless transition from the open plan internal space to the external rear deck area starts to emerge bringing the views of the surrounding landscape deep into the heart of the space.